Description: The smallest species of the genus, but with an impressing ability to jump long distances its small size taken into consideration. 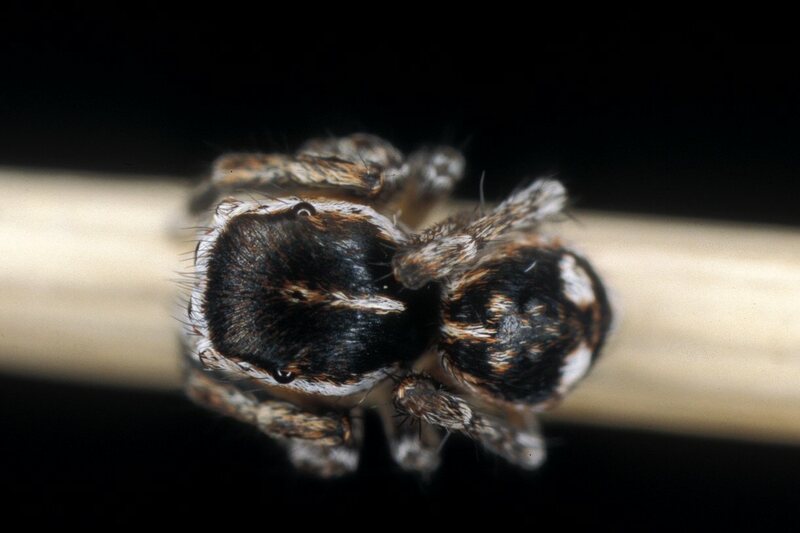 This species has longer fourth legs than other Sitticus species, with Tibia IV about three times longer than Tibia III. 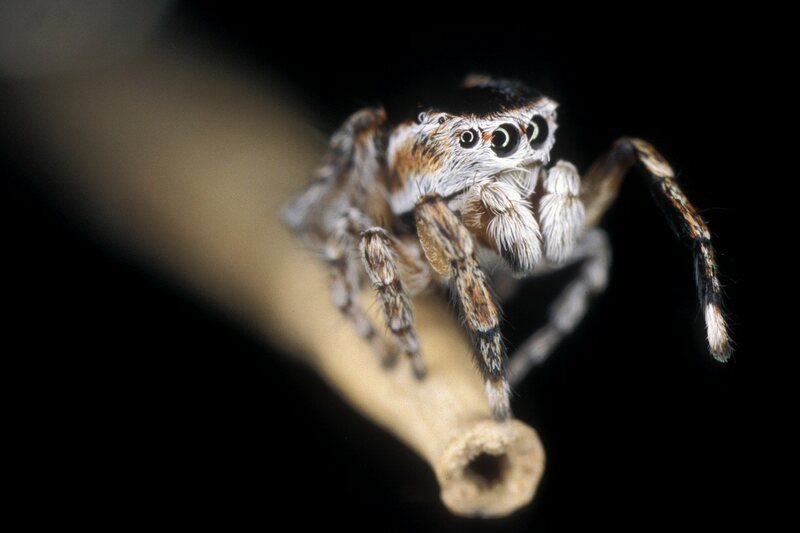 The female is characterized by red-brown colours and light patches of white hairs. Abdomen with ill-defined white patches and with indistinct chevrons at rear. The male is much smaller and darker than the female. Carapace with light median line behind fovea. 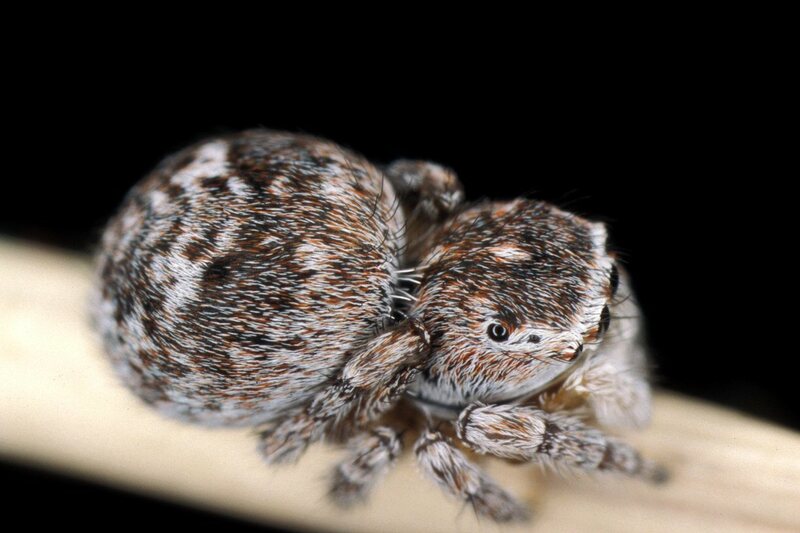 The sides and the front are clothed with white hairs, remaining parts of the carapace is dark brown to black. Abdomen has light sides, light median line anteriorly, and a par of large white patches slightly behind midway. Legs are dark, vaguely ringed with white hairs. Size: Female 3-4 mm; male 2-3 mm.